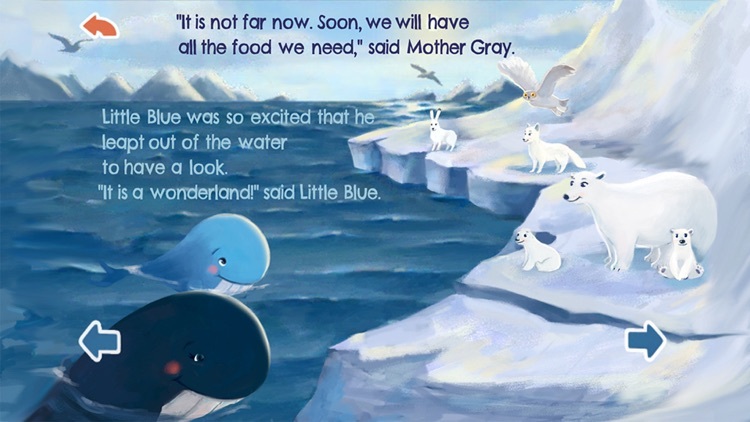 Mother Gray and Little Blue is an interactive story about an inquisitive baby whale and his long migration north to winter feeding grounds with his mother. 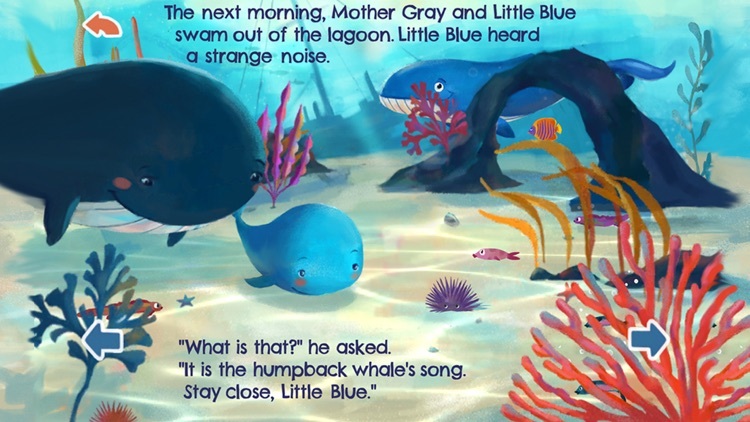 On their journey they meet many other ocean inhabitants and Little Blue learns about the world around him. enjoy together. 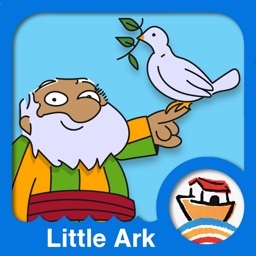 Children can interact with the story and help bring the character’s adventures to life. 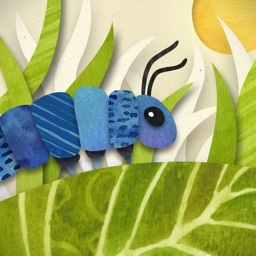 - Beautiful illustrations and background music. 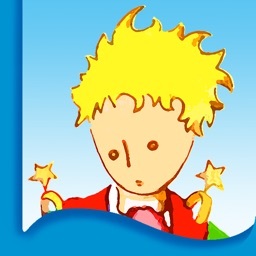 - Fun interactive animations and sounds. 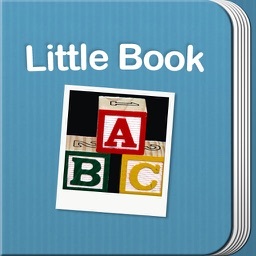 - Specially selected main text font which has letter forms appropriate for beginner readers. 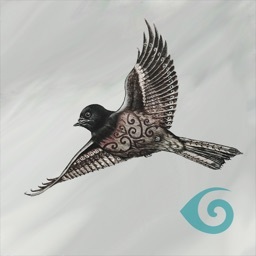 - Easy-to-use navigation includes the ability to return to the main menu at any time, and to move forwards and backwards through the pages. 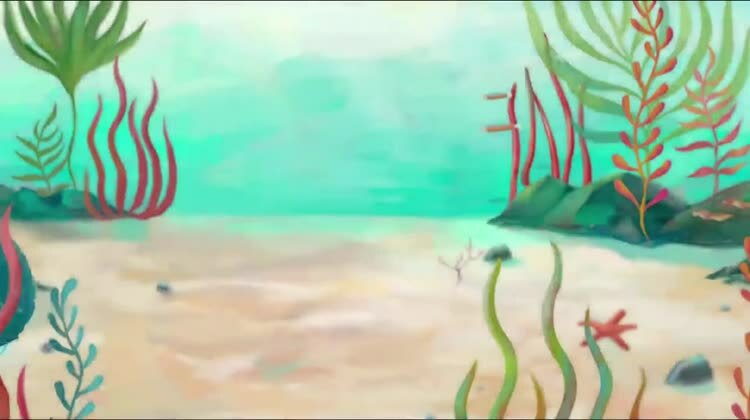 * You can choose to have the story read to you by a narrator, or you can read it yourself. If your child gets stuck on reading a word you can tap on the individual words to have them read out by the narrator. * If you would prefer to not interact with the story at all then you can select the ‘Auto Play’ mode. 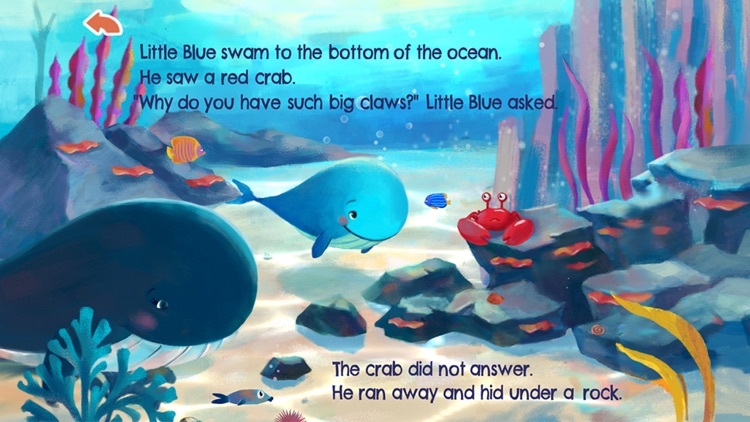 * In the creative ‘Add To Story’ mode, you can drag & drop additional items onto the page, such as a submarine or a mermaid. 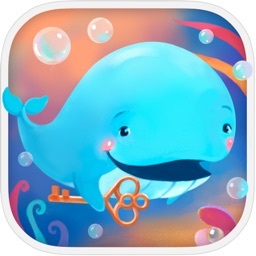 For added security and parental peace of mind, this app transmits no personal information and contains no ads or in-app purchases. 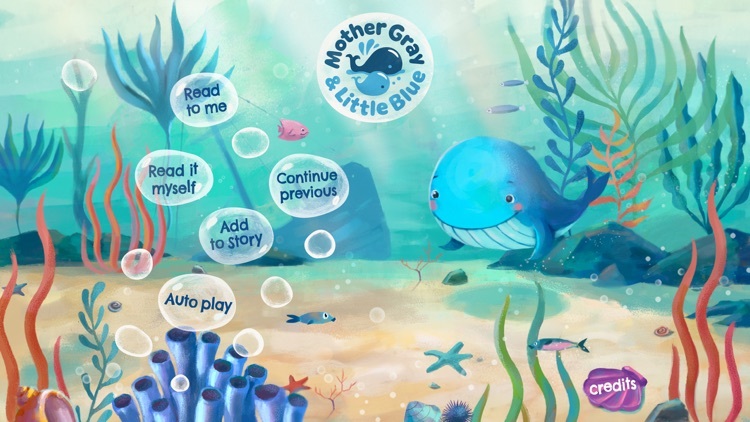 Mother Gray and Little Blue is compatible with IOS 9.1 and above, the iPad®, iPad Mini, iPhone 4 and above, and the iPod touch. To download the app you may require a Wi-Fi connection. This is because, depending on your network provider and download limits, the size of the app may be above some device’s data limits.